In the fall of 2012 I made my first visit to the Pine Ridge Indian Reservation in South Dakota just to see what modern day life was like for the people who lived there. What I experienced during that initial visit fascinated me. It called out to a spirit deep within me. I was not expecting the experience to be so powerful, but it was. I have since been back four times and have many friends there now. In the process…I have donated materials to build a new home there…hunted a buffalo and brought the meat to Pine Ridge to share with the tribe…launched a non-profit organization called “The Seventh Power”…and… I am now writing a book about my adventures at Pine Ridge that I expect to publish later in 2014. Pine Ridge is beautiful, desolate, historic, tragic, hopeful, spiritual, poor, forgotten, resourceful, energizing and much more. It is an amazing and important place that our country has forgotten about. The calling I feel is to help increase AWARENESS. Pine Ridge is home to the Oglala Sioux Tribe and approximately 35,000 native people live there. The reservation is large and remote. It is 2.2 million acres in size and very few people go there. It sits in the southwest corner of South Dakota below the Badlands National Park and above the Nebraska panhandle. Pine Ridge is one of the largest and poorest native reservations in America. Unemployment is around 80% and the median income is less than $8,000. There is very little economic infrastructure at Pine Ridge. There is no grocery store, no car dealership and no motel. As a result, what little money the people do have is usually spent off the reservation. Poverty, alcohol abuse, suicide, drop-out rates, life expectancy and other social challenges plague Pine Ridge today. The people of Pine Ridge are resilient, resourceful and fun to be with. Despite decades of cultural oppression their language, traditions and values are still intact. The Lakota people generally, and the Oglala Tribe specifically, have a rich and powerful history. They are the descendants of Red Cloud, Crazy Horse, Black Elk and others. 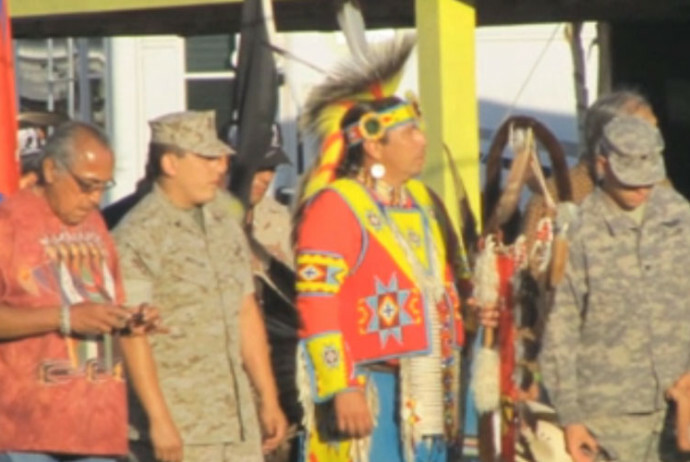 Their ancestors are some of the most famous war chiefs and medicine men in American history. Their ancestors played a leading role in defeating Custer and the Seventh Cavalry at the Little Big Horn River in June of 1876. In December of 1890 Chief Bigfoot’s band of Minneconjou Sioux were massacred at Wounded Knee (located on the Rez). Wounded Knee became famous once again in the early 1970’s when leaders of the American Indian Movement barricaded the roads and entered into a prolonged standoff with Federal Marshalls over living conditions and fair treatment. The people of Pine Ridge will sometimes refer to their modern journey as “first to worst”. Before the coming of the “Wasichu” (whites) in the mid-19th century they were free, self-sufficient and prosperous. Since the reservation era they have become among the poorest people in America. Today, government dependency is very high at Pine Ridge. Below are two links I hope you will explore. 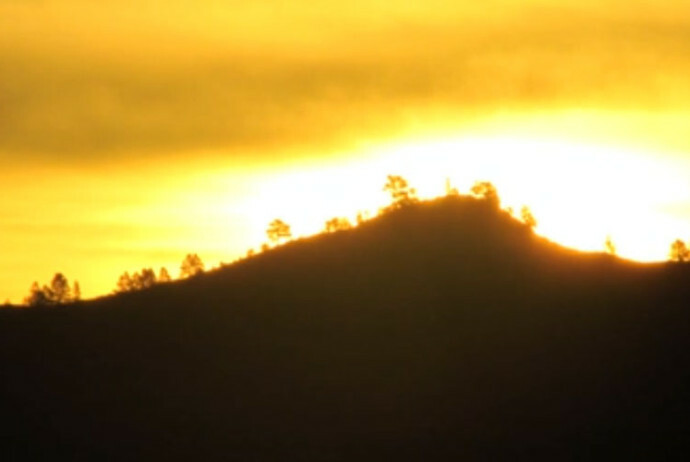 The first shares a series of videos from my personal experiences at Pine Ridge. The second is a link to our new non-profit where you can see the mission we are pursuing. If this subject speaks to you let me know and share these links with others. I am not out to ‘fix’ anybody at Pine Ridge. I have met the people of Pine Ridge and I am confident they will chart their own course back toward economic independence through traditional values. I have no formal role at Pine Ridge. I just like it there. AWARENESS and UNDERSTANDING are, of themselves, powerful tools. Individuals just following their heart find themselves and impact others every day. The Pine Ridge Indian Reservation is located in the southwest corner of South Dakota. It is the home of the Oglala Sioux Tribe. Covering 2.2 million acres, Pine Ridge is one of the largest reservations in America. Unemployment nears 80% and median income is less than $10,000. Approximately 35,000 native peoples (primarily Lakota Sioux) live there. The reservation is extremely remote and very few non-residents travel there. The Oglala Sioux Tribe has a rich history. As powerful and important members of the Lakota Sioux nation, they once shared controlled of a vast territory stretching from the western banks of the Missouri River to the Big Horn Mountains. Their territory included all of the Black Hills. This land was protected for the Lakota nation forever (“as long as grass shall grow and water shall flow”) by the United States government through the Ft. Laramie Treaty of 1868. In 1874 however General Custer led a military expedition into the Black Hills (in direct violation of the Treaty). The expedition “discovered” gold (referred to by the Lakota as ‘the yellow metal that makes the white man crazy’) and the region was soon flooded with prospectors and settlers. The Government then told the Lakota Sioux (and other tribes of the Northern Plains) that the Treaty could no longer stand and that they would have to give up their land and move onto reservations. By this time, the buffalo that the Lakota people depended upon were nearing extinction due to reckless overhunting by fur traders. Many in our government encouraged the overhunting as they saw it as a means of taming the Indians of the Great Plains and ending their nomadic way of life. The governments violations of the Treaty of 1868 led to war. In June of 1876 many member of the Oglala Sioux Tribe, including the powerful war chief Crazy Horse, met and defeated Custer and the 7th Cavalry at the Little Big Horn River. After this great defeat the U.S. Government sent nearly ½ the standing army in America to round up the remaining free Indians of the Northern Plains. In 1877 Crazy Horse surrendered at Camp Robinson and was killed while being arrested shortly thereafter. In December of 1890 the last armed conflict between the Lakota Sioux and the U.S. Government took place near Wounded Knee Creek where over two hundred members of Chief Bigfoot’s band were killed and left to freeze in the snow as they traveled to Pine Ridge in search of safety and at the invitation of Chief Red Cloud. The reservation system was originally designed to segregate the Lakota people from mainstream American society and then to “remake them as white people”. There were to be taught to farm, dress as white’s and become Christians. From the 1890’s until the 1960’s cultural genocide was waged on the residents of Pine Ridge. It was illegal to gather or to practice traditional Lakota ceremonies at Pine Ridge. Children were rounded up and sent off to Indian boarding schools to be “remade”. Adults ‘caught’ practicing traditional religious ceremonies were detained and sometimes even sent to insane asylums as it was assumed that a native individual must be ‘crazy’ to continue to hold onto their cultural beliefs (and not readily adopt our own). This is all a true story but little is known or remembered about it off the reservations. Today the Pine Ridge Reservation is governed by the Tribal Council in partnership with the Bureau of Indian Affairs. Statistically, it is the poorest place in America. Miraculously however the Lakota culture has survived at Pine Ridge. Their language is intact and traditional values are once again being taught. The population at Pine Ridge is growing even though the overall population of South Dakota is in decline. The history of the Oglala Sioux Tribe and Pine Ridge are symbolic of the history of all native peoples in America. Many of the most famous war chiefs and holy men of the Sioux Nation were Oglala including Red Cloud, Crazy Horse, Spotted Tail and Black Elk to name a few. What began in 1492 with Columbus ended in 1890 at Wounded Knee on the Pine Ridge Reservation. Housing construction projects that create home OWNERSHIP opportunities for local residents. Projects that encourage healthier diets through a return to traditional food sources (such as buffalo). Clothing donations particularly aimed at children and young mothers with families. Business investments and initiatives that promote entrepreneurship and create private sector jobs at Pine Ridge. Educational projects that strengthen AWARENESS of the history of the Lakota people and of the challenges and opportunities of modern day life at Pine Ridge.